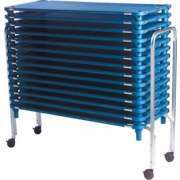 Invigorate your classrooms with school furniture from Mahar Manufacturing. When you add quality and color to preschools, elementary schools and daycares, you ensure that students have the optimal educational experience. Mahar classroom furniture is Made in the USA. After a school invests time and money in selecting the right activity tables, library furniture and preschool storage, everyone wants to be sure that these items are worth the investment. With Hertz Furniture&apos;s complimentary extended 25-year warranty, it is certain that many classes of growing children will benefit from this school furniture. The trend of small-group learning is increasing in popularity. 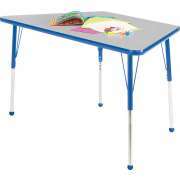 Facilitating cooperative work in math or reading groups, or even joint craft projects is easy with the right school tables. 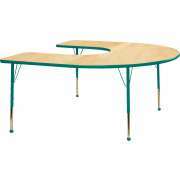 Classroom tables create the perfect space for students to sit as they work, play and eat. 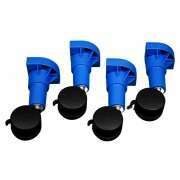 They cultivate an atmosphere of teamwork and mutual dependence that will serve children well in the future. 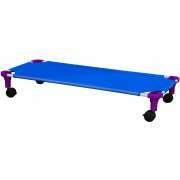 Activity tables come in a selection of shapes and colors, so a great configuration can be found for any space. The classic rectangles and circles can fit well in empty spaces on the side of a classroom, or even in a custom arrangement in the center. Horseshoe and kidney school tables are excellent because a teacher can sit on one side of the table and work with a small group of students. The flower shape adds flair to a space. 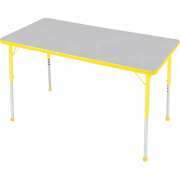 Educational Edge tables add a hint of vibrant color that will brighten up a room in a subtle way. 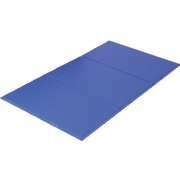 They can be coordinated with classroom colors or used to incorporate some new hues in the space. 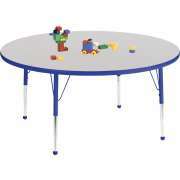 Activity tables are ideal for young learners, so every early-childhood setting should invest in some preschool tables. 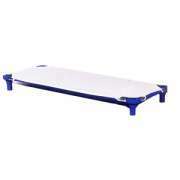 With Mahar&apos;s convenient adjustable-height models, work surfaces can be set at the ideal height for growing children. Keeping a classroom organized is critical to ensure that every day runs smoothly. Preschool cubbies make it easy to keep everything in order in learning centers and craft corners. With clearly divided compartments that are designated for particular items, little ones will quickly learn how to be responsible and treat belongings properly. Preschool lockers are important to have as well because they provide each student with a personal storage space in the classroom. When every child has a designated cubby, it is less likely that property will get mixed up, and easier for teachers and caregivers to ensure that papers and projects end up in the right backpacks. 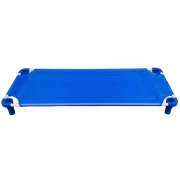 Preschool storage has a number of different components, not least of which is toy storage units. Every early-childhood classroom has lots of items that need to be kept in place so children know where they can find their favorite toys and activities. Units which combine cubbies and plastic storage bins are ideal for smaller items and sets such as puzzles and blocks. If your classrooms are used after hours or on weekends for other purposes, locking hinged units will ensure that all items stay in place until you return. Encourage little ones to dive into the world of reading with some enticing book displays. With shelves that keep books where they are easy for little ones to identify and retrieve, children can choose what they would like to read and identify favorite titles. A book display will fit well in a classroom reading corner or school library. After children have enjoyed all of the great activities caregivers have planned and played in learning centers, they will be ready for some quiet time. Daycare cots and rest mats let each child sleep peacefully so everyone is refreshed and ready to enjoy the rest of the day. 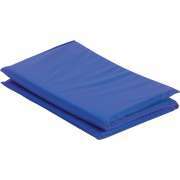 When kids cots and kindergarten nap mats are not in use, they can easily be stacked on the side of the room or in a storage closet. School furniture from Mahar Manufacturing will create a functional and inviting learning space. Little ones will look forward to coming into the classroom and working at activity tables, playing in well-organized learning centers and laying down for some quiet rest time.